You CAN help job seekers. Find and send them job leads. But first ask what kind of jobs they want so you can send relevant leads. Be an encouragement to them. Remind them of their strengths and assure them better days are ahead. Vouch for them with hiring companies and influential people. Spread the word about why your friends are the solution to companies' problems. Get their resume to the right person at a hiring company. Walk it, mail it, or email it to the hiring manager, recruiter or HR department explaining why your friend should be strongly considered for open positions. Introduce them to influential people. Particularly introduce them to decision makers at hiring companies. Invite them to events that could benefit them. If there is an entry cost and you can better afford it, pay for their ticket. Gently reveal weaknesses that may be impeding their progress. Help them improve their skills or guide them to someone who can. Meet with them occasionally to give them hope and get them out of the house. Endorse their skills on LinkedIn. Simply click the listed skills on their profile that you have witnessed. Doing so will help convince hiring managers who visit your friends’ profiles that they have the needed abilities for their openings. Recommend them on LinkedIn. Take the time to write a recommendation about their qualifications and why they would be a great fit for hiring companies. Write them a recommendation letter. Send it electronically so they can upload or attach it when applying online or via email. Also mail it to them so they can include it in their portfolio. Look to us for expert services and support! Comments - You are welcome to comment, but please do not include a link address. Posts with web links will not be published. 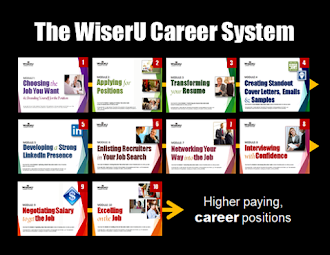 Access WiserU Career System Now! Land a great job STEP by STEP! Subscribe for LinkedIn and career tips. Visit Services to further your business or career. Subscribe to get LinkedIn and career tips! Get the latest LinkedIn and career guidance and more weekly straight into your INBOX for free. Just Enter your email address, Verify and join WiserUTips! © Copyright -- Kathy Bernard, 2016. Theme images by Jason Morrow. Powered by Blogger.